As the crucial selling period of the year approaches, the early signs are that book retailing may be able to ride out the worst effects of the credit crunch, in 2008 at least. 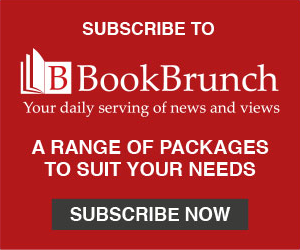 A straw poll of retailers for BookBrunch reveals cautious optimism about Christmas sales. However, one bookseller who was noticing an impact from market conditions was Hazel Broadfoot of The Bookshop, Dulwich Village, perhaps because the shop's affluent customers are particularly nervous about recession. 'This is pretty well the first time since we've been here that any economic problems have affected us,' Broadfoot said. She also thought that there were 'fewer good books for us' this year, though she excepted Last Chorus by Humphrey Lyttleton (JR Books), Sissinghurst by Adam Nicolson (HarperPress), The American Future by Simon Schama (Bodley Head), and Masters and Commanders by Andrew Roberts (Allen Lane). She was hopeful that the shop's own Christmas catalogue - its first - would produce a good response. Elsewhere, there was greater reinforcement of the Bookseller's BookScan index, which to date has shown sales running slightly ahead of last year. Indeed, at Much Ado Books in Alfriston - like The Bookshop, Dulwich Village, a past winner of Independent Bookshop of the Year - Cate Olson said that 'this year is stronger for us than 2007, and the build-up has started earlier'. The shop has been putting Christmas gift wrapping on books for several weeks. Olson was another to mention Adam Nicolson's Sissinghurst as a strong seller, as well as Nicolson's wife Sarah Raven's Complete Christmas (Bloomsbury). Much Ado also does well with fine press books, such as a £125 book about watercolourist Eric Ravilious. The Bookcase in Lowdham noticed that Christmas card sales began a couple of weeks earlier than normal. 'Perhaps people are spending money while they've got it,' proprietor Jane Streeter said. In common with her independent counterparts, Streeter does not attempt to compete with the chains and the supermarkets over personality books, although it is offering £5 off Jamie's Ministry of Food (Michael Joseph). Other books to go well in Lowdham include Virago's rejacketed Classics and Independent Alliance titles such as Is This Bottle Corked? (Faber) and Do Polar Bears Get Lonely? (Profile). A view from the chains, necessarily more circumspect but encouraging anyway, came from Peter Newbould, head of buying and logistics at Borders. 'Books and home entertainment are good, trade-down gifts that represent thought and care,' he said, offering a reason why buyers would respond to Borders' offerings while foregoing more extravagant purchases. Newbould said that some of the more left-field offerings from publishers would do well for the chain: they included You Can Do the Cube (Puffin), The Mighty Book of Boosh (Canongate), and Alan Carr's Look Who It Is! (HarperCollins).